Kelly discusses his early training in Rhodesia, coming to dance for the London Festival Ballet, and his sojourn with companies in New Zealand and Zurich. The bulk of the interview is an extended discussion of the role of the Prodigal Son, which Kelly danced in George Balanchine's ballet of the same name. In this interview selection, Kelly addresses the fatigue and pain that went along with rehearsing while touring The Prodigal Son. He explains that while he loves performing, he always feels fear prior to each performance. Born in Zimbabwe in 1942, Kelly left his home country at the age of sixteen when he won a Royal Academy of Dance scholarship to go to London. After studying under Ruth French, Kelly began his professional career with the London Festival Ballet (now English National Ballet), becoming principal dancer at age twenty-one. He later worked with many international companies including New Zealand Ballet, The Royal Ballet and Sadler's Wells Royal Ballet. He performed in Britain during the 1960s, and joined the Royal Ballet Companies in 1970, dancing the principal role in all the major classical repetiore. He is particularly noted for his interpretation of the Ballets Russes repertory such as Le Spectre de la Rose, Les Sylphides, and The Prodigal Son. At the time of this interview, Kelly was the ballet master of the Sadler's Wells Royal Ballet. Kelly was appointed Assistant Director of Birmingham Royal Ballet in 1990 and continued there until his retirment in 2008 after which he joined Elmhurst School for Dance as Artistic Director. Kelly was awarded an OBE in the 2005 New Year's Honours list and was made an Honorary Doctor of Letters by Leicester University and the University of Birmingham in 2007. After more than 50 years in the dance world, Kelly finally retired in 2012. He is married to former dancer Denise le Comte with whom he has two children. 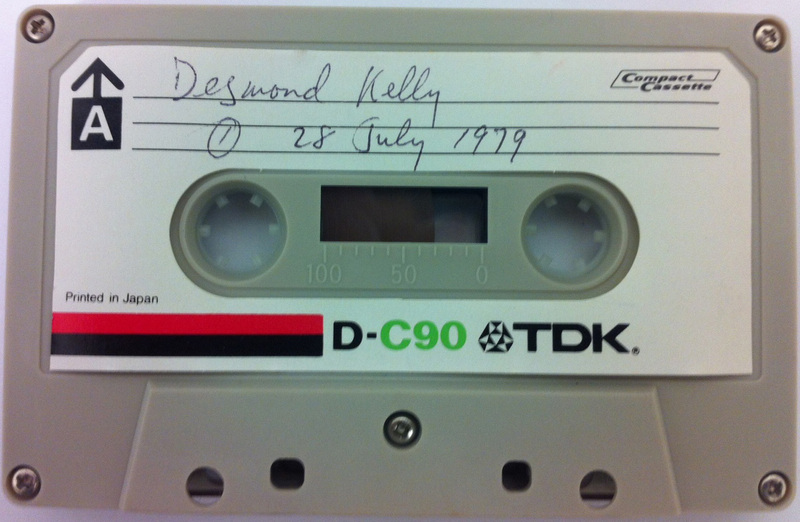 “Desmond Kelly (published 1982),” Dance Dialogues: Interviews by Barbara Newman, 1979-Present, accessed April 25, 2019, http://dancedialogues.prattsils.org/items/show/56.